This restaurant location is one of the most coveted spots in the area. It is located on a high traffic street in a great residential neighborhood. The highly visible signage and location make it easily identifiable by customers. 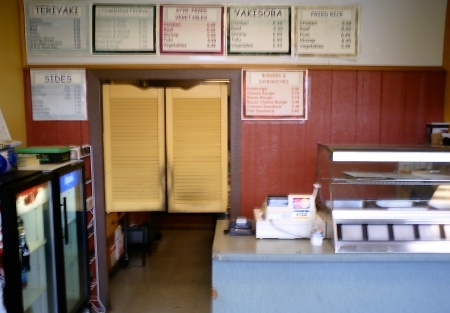 The restaurant is currently serving mostly teriyaki but burgers and sandwiches are also served fresh off the grill. The kitchen is highly efficient with quality appliances. The kitchen includes a nice commercial hood, grease trap, and good sized grill perfect for grilling chicken and burgers. The back of the restaurant has plenty of storage for supplies. The current hours of operation are limited, a new owner could add more hours to possibly generate more income. The lease is very low and the terms of the lease are are also negotiable. Take advantage of the opportunity to own a solid established business in a great neighborhood. Select one of the orange buttons below to get the name and location of this restaurant. Great location in Residential Neighborhood!